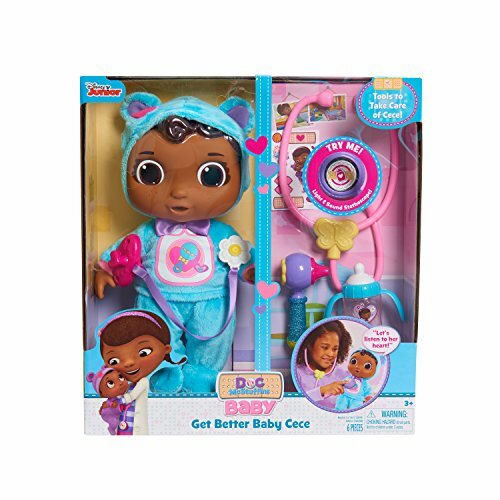 Get ready for the most adorable check-ups with the Get Better Baby CeCe Doll, featured in Disney Junior’s, Doc McStuffins! This precious Baby Cece doll is dressed in a new blue outfit with an adorable matching baby hat. 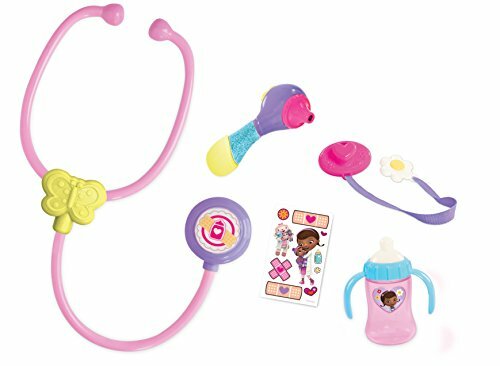 Help Baby CeCe feel better by using Doc’s stethoscope, featuring fun Doc & Baby Cece sounds and the included otoscope, pacifier and bottle to help care for your new baby. 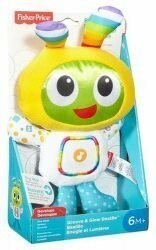 Baby CeCe’s pacifier even doubles as a play thermometer with scroll-through images that tell you how Baby CeCe is feeling! 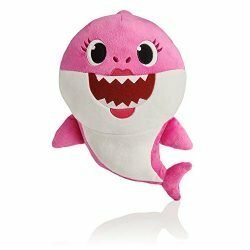 Ages 3+Baby Cece doll comes dressed in a new blue outfit with an adorable matching baby hat. 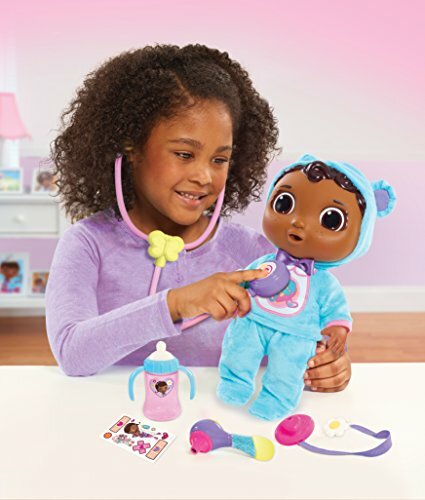 Includes stethoscope that plays both Doc and Baby Cece sounds. 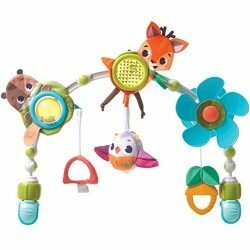 Set also includes: play otoscope, pacifier, and bottle. 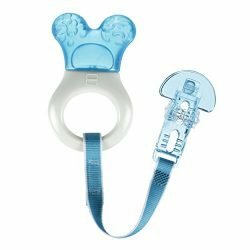 Pacifier doubles as a play thermometer with scroll-through images that tell you how Baby CeCe is feeling.